News from LMCU: Planning a spring move or new construction build? 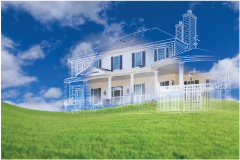 Planning a spring move or new construction build? The spring real estate selling season will be here before you know it. If you’re planning a spring move or contemplating new home construction, January is a key planning month. Once the warm weather hits (hopefully sooner rather than later! ), things will get very busy, very fast. Right now is the perfect time to organize your plans. If you’ll be selling your home, it’s time to start doing those pre-selling fix-ups. You’ll need to complete those repairs, painting projects and minor improvements to make sure you’re ready to show. You’ll also want to get pre-approved for your next mortgage. Pre-approval means you’ll have the freedom to jump in with an offer when you find the right home. It signals to sellers that you’re a serious buying prospect. And that can put you in a better negotiating position when other buyers are interested in the same home. Once springtime arrives, the competition for builders and contractors gets intense. The earlier you can lock in with a builder, the better. Pre-approval for a construction loan tells builders you’re locked and loaded. LMCU construction loans feature a one-time closing that saves you money, and builders love our expedited payment draws. LMCU’s guaranteed low rates and ultra-competitive closing costs can mean thousands in savings over the life of your loan. If you’re ready to get serious about a new home, whether by building your dream home or purchasing an existing home, we’re ready to help. Stop in to any branch or call to set up a time to meet with a loan officer to get pre-approved and learn more.